Before I jump into Where the Mountain Meets the Moon, I want to throw out some terms Megan and I use often in our discussion of children’s literature: Truth and Story. We’ve expanded on these concepts previously on LiterariTea, and we’re looking forward to the opportunity to flesh them out a bit more here on Redeemed Reader. They’re essentially different words for the worldview and literary ratings we use here on Redeemed Reader. But they are essential to my discussion of this book, so I’ll give you the short-and-sweet summary. We distinguish between Truth (Big-T Truth) and truth (little-t truth). Truth is Reality as God has ordained it, from the order of His creation and the fall of man. There is good, and that is God. There is evil, and that is the nature of man. There is redemption, and that is Christ. truth is merely common grace. (taken from our discussion of Truth v. truth on Literaritea). 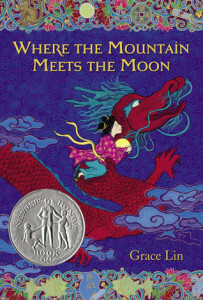 Truth and Story are useful when discussing a book like Mountain that features Chinese mythology, dragons, a runaway, fantasy elements, and more! Why do we read books like these and why do we encourage you to do so? In this case, it’s because we (in particular, I) believe that there are elements of Truth in this work and that it is a great example of Story. When those are both present in a work of literature, you have a book worth reading, my friends. In Mountain, young Minli wants desperately to change her lot in life–her fortune. She ends up running away thanks in part to a talking goldfish. Her goal? to find the Old Man of the Moon and ask him a question about how to improve her family’s fortune. Along the way, she befriends a dragon who makes the journey with her–he has a question for the Old Man of the Moon, too. When Minli finally reaches the Old Man of the Moon, he tells her he will answer but one question. She must choose between her own question and that of her friend, the dragon. 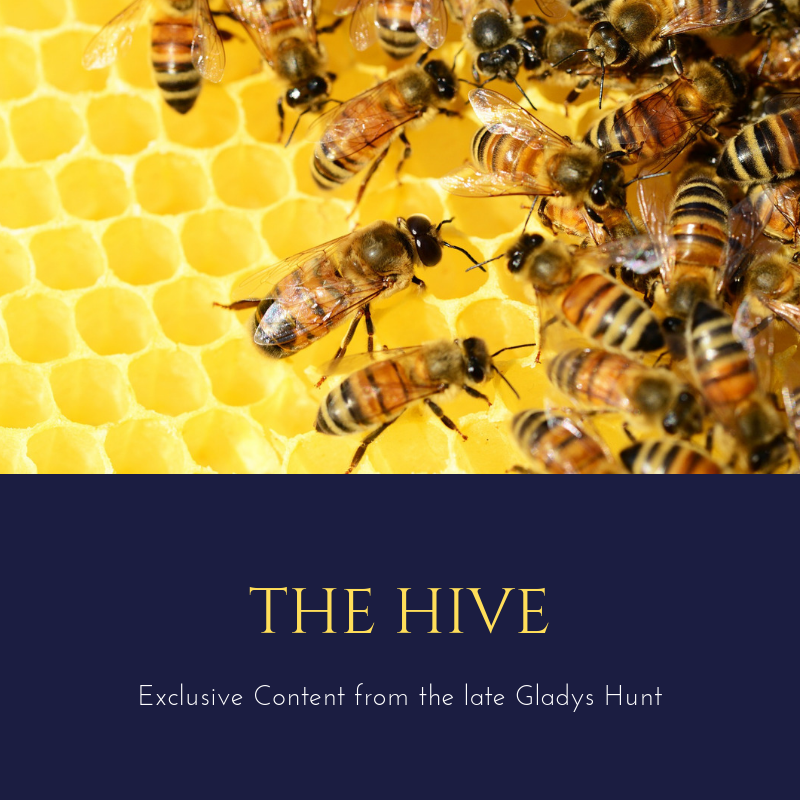 Grace Lin sprinkles Chinese folklore in story format throughout the book: it seems that each person Minli meets has a new story for her to build on the rich tradition her father began. These stories weave a significant part of the narrative together and enrich Minli’s understanding of the way the world works like all great stories do. So, where do we see Truth and Story? Story is easy: this book is a rich literary creation. No question there–even though much of it comes from a different cultural perspective than our own. But what about Truth? Even though this is not a Book-with-a-Message, Grace Lin sends home a powerful message by the end of the book: be content and be thankful. Be content with where you are, who you are created to be, and what your calling is–even if sacrifice for your friends and family is required. It is then, and only then, that our “fortunes” change. Even if our “fortunes” don’t actually change, doesn’t it feel like they do when we’re truly content? When we are content with where the Lord has placed us, with what He has given us, then our eyes are opened to see more of His blessings. When we choose His way, then we find that we are a blessing to others and that our own lives are rich in return. Did Grace Lin mean for us to take away a specifically Christian message from this book? Probably not. Does that mean we can’t use a book like this to illuminate Truth and to discuss it with our children? Definitely not. There is a good deal of unfamiliar material in this story: Chinese folklore can be quite different from our more common Western traditional literature. Was the book hard for you to enjoy? Did you see Truth in any of these stories? What Scripture references can you think of that relate to contentment or to putting others (friends and family) before yourself? How does Christ himself exhibit these traits? Remember, it is only through His work on the cross that we can aspire to these same traits! Can you think of other epic quests that are similar to this one–even though they might be from a radically different literary tradition? (*coughs* The Pilgrim’s Progress) How do they compare with Mountain when both are read from a redemptive perspective? Check out the Reader’s Guide in the back of the book for some excellent literary questions about this book. There is an excellent author’s note at the end of this book outlining where Grace Lin got her material. If you enjoyed this book, check out the recent companion novel, Starry River of the Sky. Where the Mountain Meets the Moon is also excellent in audio format, but you will miss out on the lovely illustrations if that is your only acquaintance with the book. Also, if you are interested in how folklore from other cultures can display Christ and Truth, check out Emily’s review of African folklore and cultural stories, her interview with author Jane Kurtz, and her examination of the Anansi stories. Megan has also written about the Anansi stories. Book cover image thanks to goodreads. Thank you Betsy for helping us learn to read through a biblical lens! I love your “talk among yourselves” questions – so helpful! Please include these with every review!!!!! We are almost finished reading Where the Mountain Meets the Moon as a read aloud for the family and I was looking for discussion ideas for my homeschooled children, including my eldest, now a 9th grader, as well as literary elements upon which to focus some essay/response writing. Found it! Thank you for your ideas and your discussions which guide and give parameters with which to place Truth and Story. So happy to have found your site!